Kit Owens harbored only modest ambitions for herself when the mysterious Diane Fleming appeared in her high school chemistry class. But Diane's academic brilliance lit a fire in Kit, and the two developed an unlikely friendship. Until Diane shared a secret that changed everything between them. More than a decade later, Kit thinks she's put Diane behind her forever and she's begun to fulfill the scientific dreams Diane awakened in her. But the past comes roaring back when she discovers that Diane is her competition for a position both women covet, taking part in groundbreaking new research led by their idol. Soon enough, the two former friends find themselves locked in a dangerous game of cat-and-mouse that threatens to destroy them both. I can't believe this is my first Megan Abbott book! I have heard wonderful things about her so when I was presented with the opportunity to read Give Me Your Hand I had to jump on it! Give Me Your Hand tells the story of Kit Owens and Diane Fleming. Two ex-friends who are reunited when a position opens up for a scientific research study. Kit and Diane were friends in high school but a devastating secret changed everything. Now, a decade later, Diane and Kit are thrust into each others lives once again. Firstly, I absolutely loved the way this novel was delivered. Going back and forth between past and present, making the story unfold at a perfect pace, keeping you hanging on until the very end. Abbott put a lot of care into the backstory which I really appreciated. You get a great understanding of why both Kit and Diane are the way that they are and how they seem to have this everlasting attachment. Abbott not only crafted great characters but she backed it up with an epic storyline, or I should say multiple storylines. A few things unravel in this book: Kit and Diane's history, their present connection and both Kit and Diane's separate backstory. It made for a very interesting read! Another great addition was the research they are studying. It is fascinating. PMDD is something that I have never heard about and the author does a great job at integrating it into the story. 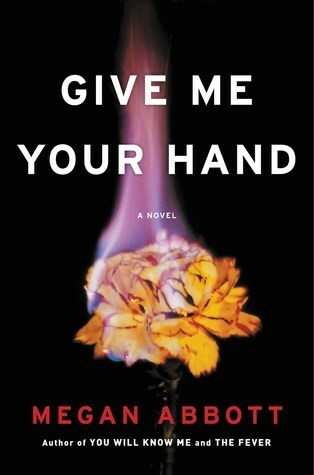 Give Me Your Hand will appeal to lots of readers. It's a psychological thriller with a young adult twist. It takes you on a heart-racing journey of who and why. All of your questions will be answered but the author does not give them up quickly. You will be left guessing until the very end! Literary Book Gifts PLUS a PROMO!